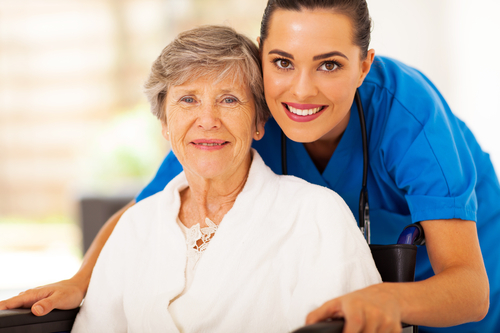 What Is Self-Directed Long-Term Home Care? Many people approaching retirement today will need long term care at some point in the future. Long term care typically brings to mind an image of nursing homes, but one growing trend is known as self-directed long-term home care. There are many different options available and more people than ever are choosing to self-direct their own long-term care when this is a possibility. Person-centered choices are becoming increasingly requested, especially as people wish to age in place, even when faced with physical or mental challenges that require long term care. Individual states are choosing to create self-directed programs that enable the person in need of care to pay home care providers and schedule them as they wished. This removes some of the limitations typically associated with long term care policies, which have become very expensive in recent years or through Medicaid. Many people are choosing to direct their own care, because there is a major problem associated with using agencies where the assigned caregiver doesn’t show up. Customized care services also appeal to those who want individualized support and in general, research has shown that these people who were able to take control of their care were more satisfied and their overall experience was just as good or had better outcomes when compared with traditional care. There are now 1 million people in more than 200 different self-directed, veteran and Medicaid programs across the country. And since 2011, enrollment in these services has increased by more than 2011. More vetting and management is required if you choose to go the route of self-direction. If you’re interested in protecting yourself with regards to a long-term care plan, you need an experienced estate planning lawyer who understands the scope of your state’s Medicaid rules and can help you design strategies and goals for the long term. 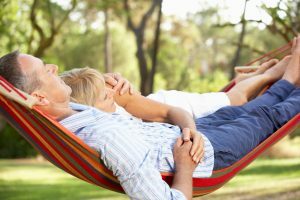 There are many different steps you can take to increase your chances of a successful retirement and many years lived beyond that point. Longevity has increasingly become an important component of overall estate, financial and retirement planning. 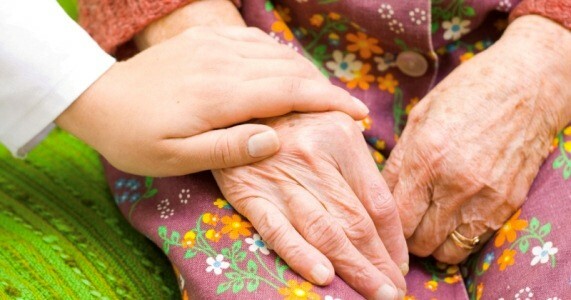 Since although people are living longer, they are also more likely to be in need of long term care assistance. While a long life might be seen as an excellent gift, there are also legal and financial challenges that could be present. The earlier you can work to address or to prepare for these, the easier your older years will be. A non-smoking 65-year-old man today has a 50% chance of living until age 85 and a non-smoking 65-year-old woman has a 50% chance of living until age 88. 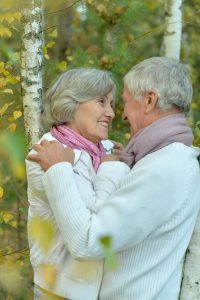 Contemplate long term care since it’s likely that at least one member of a married couple will end up in a nursing home. Traditional long-term care policies can be extremely expensive, so make sure you do your research before selecting how to protect yourself. Plan for incapacity. While it’s easy to assume that you might never be at risk of being incapacitated and unable to make decisions for yourself, failing to prepare for this possibility can take an emotional and a financial toll on your family members. Make sure that you’ve contemplated who can step in to make decisions on your behalf in terms of medical care and your financial needs. Avoid probate by using an experienced estate planning attorney so that your loved ones can avoid this lengthy and problematic process. Minimize your taxes. Make sure that you sit down with a knowledgeable estate planning attorney to discuss whether or not your estate will be affected by federal estate taxes. Even if it is not, there are plenty of steps you can take to maximize the money that you have set aside for your loved ones as well as for your own retirement. Although women now graduate in greater numbers than men from college, they also carry 64% of student loan debt. A new study completed by Merrill Lynch found that women have to save for retirement earlier than men and must start planning well in advance. This is if those women intend to maximize their pension benefits and their Social Security. The unique challenges that women continue to face have to do primarily with debt and pay disparities. Women are confident in many different financial areas except investing. Women may be as confident as men when it comes to budgeting and paying bills but that confidence decreases significantly when it comes to managing an investment. Up to 41% of the women who participated in this survey found that not investing more was their biggest financial regret. Lack of coverage and educational exposure were some of the most common reasons cited by women who felt that financial management was a daunting task that they did not feel comfortable taking on. If you are interested in tackling your retirement and estate planning goals together, scheduling a consultation with a lawyer who is knowledgeable in this area can help to ease your mind and ensure that you have a path that will address your needs for many years to come. Does The 4% Rule Still Factor into Your Retirement? When thinking ahead about how many assets you need to be putting into your retirement, what different percentages you use will depend on your overall financial planning. The 4% rule is one that is often used as a guideline for a comfortable retirement. A Wall Street Journal argued, however, that folks who live by this 4% rule may be at risk of going broke due to the chances of increasing longevity and long-term care. The 4% rule is a long-established recommendation about how much retirees may be eligible to safely withdraw from their retirement plan every single year. A financial planner from MIT initially developed the financial rule associated with 4%, meaning that you would pull from your initial retirement assets and then increase that amount every year to reflect inflation. Having a comprehensive estate plan and financial plan for your future is the only way to guard against the potential downsides and obstacles that you may face after you have left the workforce and no longer have the eligibility to pull in income in other ways. Even if you have enough set aside for retirement, you must factor in how long-term care planning may influence your ability to live longer and a healthy life in retirement. Just one long-term care event can have repercussions for years in terms of having enough money to continue. Are You Prepared for Thousands of Days in Retirement? 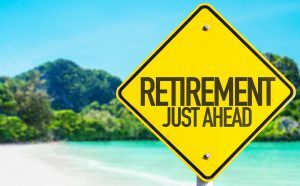 Many people who are looking ahead to their retirement may miss out on the fact that increasing longevity numbers show that once you have retired from the workforce, you may be spending as many as 8,000 days inside retirement. This means having an appropriate estate and retirement plan to guide you. Because people are living longer and staying healthier, it is not unlikely for someone in their mid-sixties now to enjoy a life expectancy of as many as 30 more years. There are many different opportunities and challenges that come prevalent with these concerns. You may be thinking about how you intend to spend your days, and hopefully, you will already have retained the services of a financial advisor and an estate planning attorney. There are road maps out there of what to consider one year before retirement and five years before retirement. 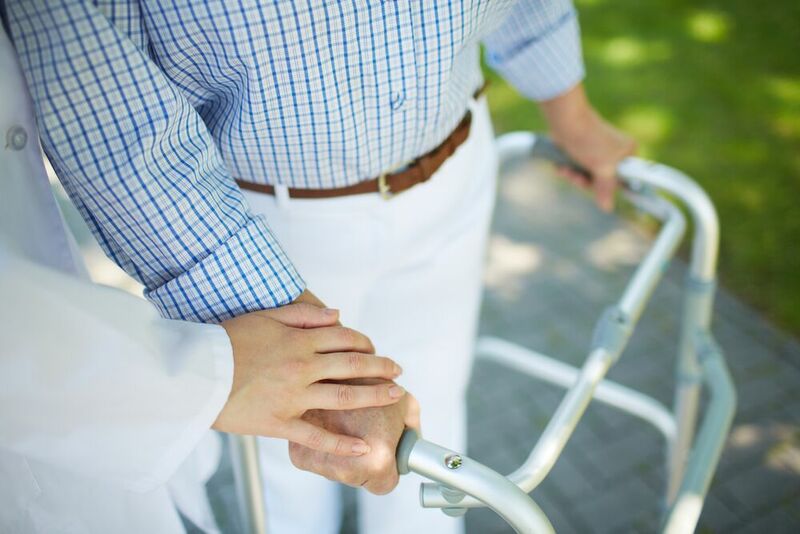 Having a comprehensive financial plan that incorporates all of the assets you have worked so hard to save over the course of your lifetime, as well as what you might need to do in the event that you become incapacitated or need the assistance of a nursing home is very important. Looking ahead to retirement is something that is a big issue for many baby boomers getting closer to prominent retirement ages of 50 and beyond. However, an exploration of the finances of people in this age category indicates problems with burdensome debt. 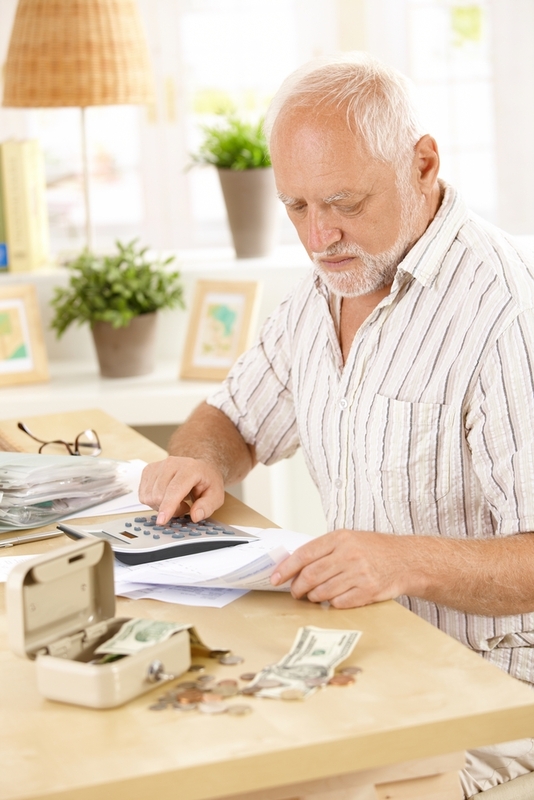 According to the University of Michigan Retirement Research Center, more Americans are carrying heavy debt levels into their 50s and beyond. More than 20,000 Americans in this age category were asked about their financial topics. The average amount of debt they are covering is $17,623 with 42% of Americans carrying that debt. The average debt load in 2012 was $3,634. One-third of this was non-mortgage debt carried on a month to month basis. This presents a significant challenge and limited opportunities for people approaching retirement age who may want to have as many options as possible to protect their interests, support themselves in retirement and pass on assets to their loved ones. If you find yourself in the situation of having debt or having recently paid off debt such that you have more assets, you should consult with both a financial planning and an estate planning attorney to get a better perspective on the facts you need to evaluate in your future. As you or your elderly parents age, there will frequently come a time when a new level of care becomes important. This is the appropriate time to consider how Medicaid can help assist with your financial planning but it is also time to consider whether or not it makes sense to have in-home care or to consider a nursing home for your loved one. When such a change becomes necessary, you need to be able to evaluate all of your options quickly. Aging at home is one common alternative to nursing homes. Geriatric facilities are moving away these days from providing long term care beds to increasing the number of rehabilitative beds they offer instead. Since Medicare pays $500-$600 per day for a rehabilitative bed, while Medicaid only pay $125 a day for a long-term care event, this means that there is decline in the availability of long-term care beds, making it harder to find a space in an affordable and high-quality facility around the country. In-home care may be one solution that your family is eligible to use. 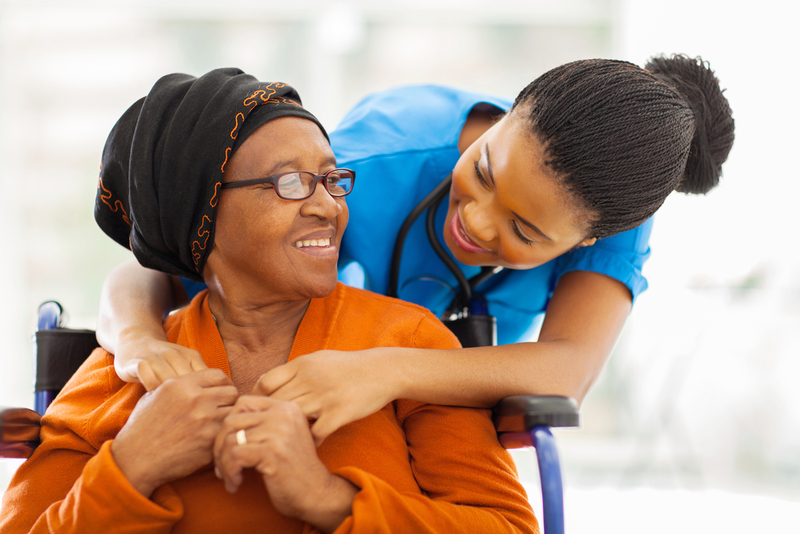 Home care options are much less expensive than a permanent facility and allow an individual to age in place and get the help that he or she needs in the comfort of their own surroundings. Finding the right person to provide in-home care is critical. 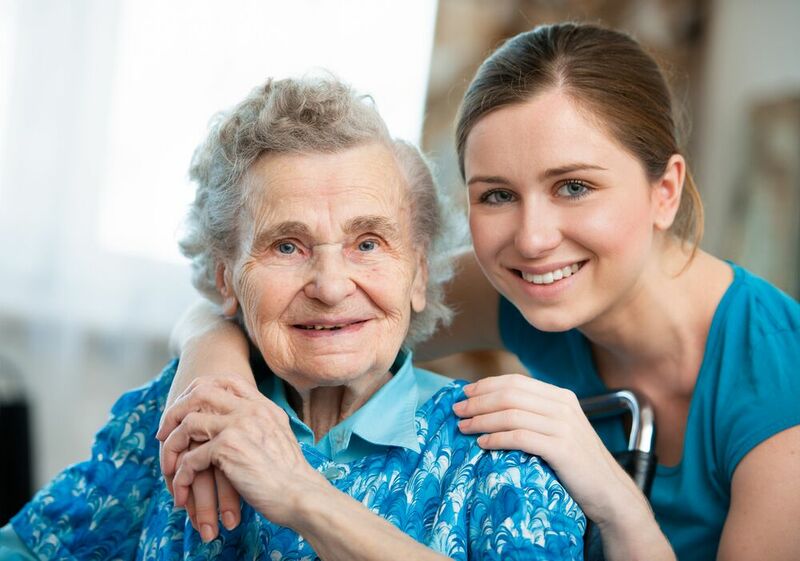 Increased access to necessary services, better feelings of independence and cost savings are just a couple of the reasons why you and your family members may consider in-home care versus a permanent nursing home placement. Make sure to do your research about the provider for in-home care to feel confident about your final decision. This can help put you at ease regarding a great deal of the fears associated with helping a loved one transition into a new phase in their life. One of the biggest concerns for the retiring population and individuals approaching older ages has to do with being able to age in place. More than ever, people are interested in living out their retirement years and beyond in their own home and comfortable surroundings rather than in a nursing home, assisted living facility, or hospital. Careful planning can allow for this situation to become a reality, but family members should always be aware of the best way to support a loved one who has the desire to stay in his or her home. This means thinking ahead about how other support structures, such as visiting family members or a paid individual who checks on your loved one every so often, can give peace of mind to everyone involved. The first step in this process is to recognize that your loved one’s home as it stands now may not support his or her needs. Some modifications may be necessary in order to help your loved one live a more independent life. It may be worth scheduling a meeting with your family member’s doctor in order to better understand his or her needs and how some changes within the house might be both necessary and helpful. 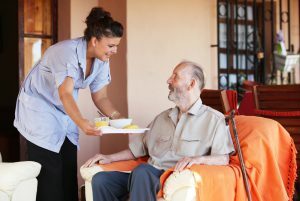 Recognize that an outside individual in the form of companion support or a home health aide may be the extra level of help your loved one needs so that all the tasks of caregiving do not fall on family members, who may be unable to keep up with a consistent schedule or struggle with overwhelm. Including all relevant family members as well as healthcare providers for your loved one in the plans for aging in place can allow you to see some of the pros and cons of this decision. Proper support and planning ahead can go a long way. 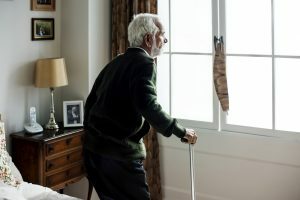 More than 41 million Americans have a chronic health condition that minimizes their daily activities in some way and 12 million are unable to live independently. Out of the 1 in 5 elderly individuals who have reached age 85, more than half need long-term care or are impaired in some manner. Develop a job contract with details. Know where to look for a caregiver. Check references as well as a criminal background check. Continue to monitor the potential employee’s performance long after he or she has begun working for your loved one. What Does Physical Caregiving Have To Do With Elder Law Planning? According to recent research and stories by the New York Times, more adult children are moving closer to their parents. If you live within 20 minutes of your aging parents then you can be seen as a typical American. Physical proximity can play a critical role when an elder family member needs caregiving. The median distance that Americans live from their mother is only 18 miles and it turns out that only 20 percent of individuals live more than a few hours’ drive away from their parents. The primary reason for focusing on women is that women tend to be caregivers more often. Caregiving goes both ways as an adult child may benefit from an elderly loved one babysitting their grandchildren, for example. That being said, living close to your parents can be problematic even when you are just a couple of miles away, if your elderly loved one is experiencing advanced signs of aging. This is why it is imperative to consider all of your caregiving options and determine when Medicaid or other issues may kick in and help with this process. Speak with an elder law planning attorney today to learn more. 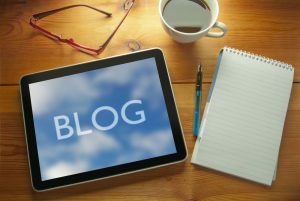 Although it is certainly possible to achieve a fair amount with reactive planning in an elder law crisis, it is much easier to plan in advance. An elder crisis with no prior planning might leave invested parties with only a will or a will and power of attorney to review. Even if these documents are clear, they might be just part of the puzzle when it comes to elder law planning. If a will or power of attorney is all you have in place, your loved ones might struggle to answer pertinent questions down the line if something happens to you. Being proactive with elder law planning can help to reduce stress, but it can also be important for saving money. For example, buying long-term care insurance can help to protect your assets even in the event a crisis that requires nursing home care or other advanced medical assistance. Planning can also help to address the potential of where you would like to live when you are older. You should never assume that your family members are clear about your plans or that they are all on the same page with regard to your care. If you have desires about medical treatment in the future, they should be communicated early. Ready to get ahead on the planning process? Contact us today to get started. The baby boomer generation is a big one, and the impact on health care services is reported widely throughout the news. According to US News and World Report, over the course of the next two decades, more than 10,000 baby boomers will reach age 65 every single day. This statistic is causing more individuals to think about planning ahead for long-term care and the inevitable costs associated with it. Whether you’re nearing this category yourself or whether you’re helping a parent plan, it pays to be informed about care options. Many people are not aware that in-home care can exceed the costs of assisted living-location is also a factor, especially if you or your loved one lives in the city. The costs in urban areas surpass non-urban areas by as much as 15 percent. 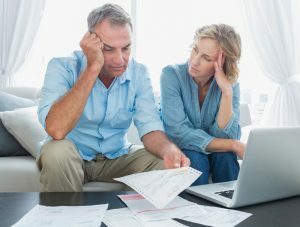 Many people are not informed about just how easy it is to spend though assets and leave a healthy spouse with the financial fallout. Protect yourself by planning ahead- contact our office today for more information. Contact us at info@lawesq.net. By the year 2050, more than 1/5 of the population will be aged 65 or older. Although one of the most common solutions to the challenges of aging is to move an elderly relative to the nursing home, it’s certainly not the only option. There are situations where your loved one may not thrive there, and sometimes their care needs are just not at the level of a nursing home. This is when it’s a good option to consider alternatives like senior living or assisted living. Networking between seniors in these communities helps create a village concept regarding recommended services, helping one another, and coordinated outings. Local volunteers can extend this process by helping when needed and looking out for individuals who may have greater needs. Federal efforts to ensure that low-income housing is available to seniors also allows for greater aging in place, keeping your loved ones at home as they grow older but with some level of supervision. To learn more about planning for the future with regards to long-term care, contact us at info@lawesq.net. Being watchful for thesigns of Alzheimer’s can be an important step in recognizing the need to consider guardianship: among them, memory loss affecting daily living; the inability to complete familiar tasks; misplacing things; confusion over either time or place. Difficulties may extend or render contentious the achieving of a guardianship role. If other family members cannot agree on the need, or on the proper person, the process can be lengthy. Further, the elder individual has the legal right to contest, and the determination of the court will only follow upon extensive expert evidence. Planning for your needs in advance can be extremely helpful for reducing family conflict. To learn more about applying for guardianship in New Jersey or planning to avoid the need, reach out to us at info@lawesq.net or contact us via phone at 732-521-9455. Currently, the sixth leading cause of death in the United States is Alzheimer’s disease. Between 2000 and 2010, the number of deaths caused by Alzheimer’s disease increased by 68 percent. By 2050, the number of Americans with Alzheimer’s disease is set to increase to 13.8 million. As a recent article explains, Alzheimer’s could quite possibly become an epidemic, if it is not one already. If a loved one in your family begins to display the signs of Alzheimer’s disease, the first thing a family should do (beyond medical attention) is be sure that the family member has executed a will, durable financial power of attorney, and health care power of attorney. These documents allow the person to direct how his or her assets will be distributed upon his or her death, and also to direct who should make medical and financial decisions for him or her when he or she is no longer capable. Importantly, a person diagnosed with early-stage Alzheimer’s may still be able to sign these legal documents. When a loved one is suffering from short-term memory or vocabulary loss, but still has a grasp on reality, he or she can often show the necessary mental capacity to create legal documents. Although it is best if these documents are created prior to the early-stage dementia, if that is not possible, have a geriatric psychologist evaluate the person immediately prior to signing. Medicaid is a need-based public benefit program that assists citizens in paying for medical care. Therefore, a person can only receive benefits if he or she meets certain income criteria. In order to meet the criteria, many people attempt to spend down their assets. However, if not done properly, a ‘Medicaid spend-down’ could have disastrous consequences. A recent article tells the story of Eugene Shipman, who ran into trouble after attempting to spend down his assets to qualify for Medicaid. Shipman and his wife, Arline, began the spend down process in April of 2008, so that Arline would qualify for Medicaid coverage for her anticipated and impending care needs. As part of this spend-down, Eugene disinherited her in his will executed in March of 2009. Following the drafting of the will, Arline’s son, David – who exercised her power of attorney – disclaimed any inheritance from Eugene on her behalf. Then, in 2010, Eugene unexpectedly passed away. Arline’s attorney scrambled to file a petition to claim an elective share of Eugene’s estate on her behalf. When the trial court denied the petition, Medicaid got involved and asked the court to reconsider. Luckily, the appellate court revoked the disclaimer and granting Arline the elective share. Had the court determined that the disclaimer should not be revoked, not only would she have lost her Medicaid eligibility, but she would have also missed out on half of Eugene’s estate. The story of Eugene and Arline should remind individuals that they must seek competent counsel and take caution when involved in a Medicaid spend down. As the costs of long-term care continue to rise, more and more elderly Americans are turning to reverse mortgages in order to fund these costs. A reverse mortgage allows a homeowner aged 62 or older to convert his or her home equity into cash while also remaining in the home. The homeowner can choose to accept this cash through a line of credit, monthly payment, or lump sum. As a recent article explains, the rules surrounding reverse mortgages are about to change. The Federal Housing Administration (“FHA”), which insures and regulates reverse mortgages, recently announced that it will modify the reverse mortgage program in order to reduce the incidence of default. Two major changes include lower caps on borrowing limits and new rules that will make it even harder to obtain a reverse mortgage. The FHA plans to change the borrowing limits in order to reduce the cap on the amount that a borrower can receive in the first year of a reverse mortgage. After the new rules are implemented, a borrower will only be able to take up to 60 percent of the appraisal value of the home. This amount is reduced from the previous cap of 75 percent. The FHA will also implement various rules that will make it harder to obtain a reverse mortgage. These rules will also likely reduce the size of the loan that borrowers will be able to receive. The new rules are scheduled to take effect on October 1.